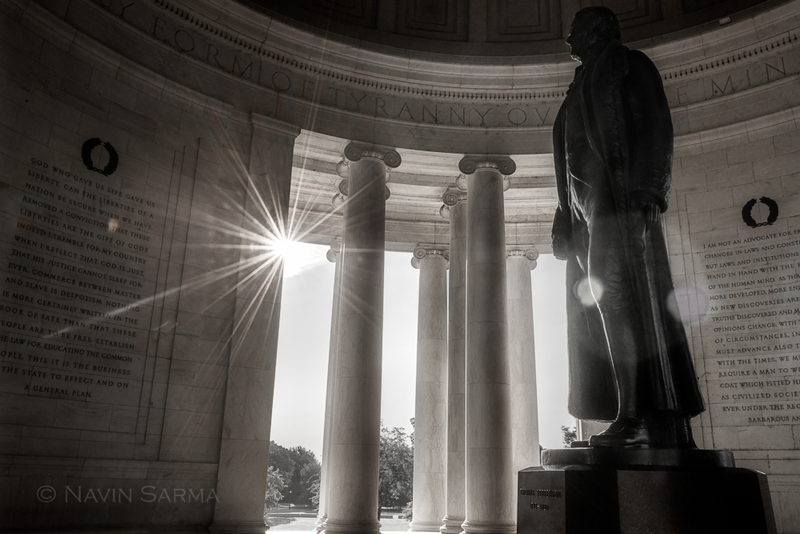 On Saturday morning, I led another Washington DC Photography Workshop, this time on the tidal basin. The concentration for this session was panoramas. Panoramas are tough to pull off well, in my opinion. The key to an effective panorama is to have interesting elements placed horizontally and avoid large uninteresting areas of the frame, which I so often see in panoramic images. You have to train your eye to look from left to right and see if there is enough interest in the scene to warrant a panorama. Unless you have a tilt-shift lens, you also have to make certain considerations to make sure the panoramic image can be properly spliced together in photoshop. For example, you should shoot at mid-range (say 30mm-70mm) and avoid including subjects near to you in the foreground, as they may distort and make the stitching process in Photoshop difficult. 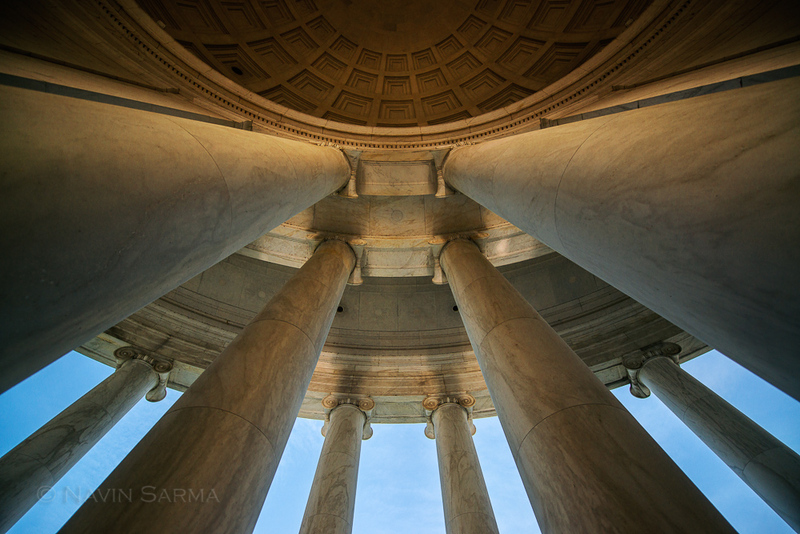 After we captured the sunrise, we ventured over to the Jefferson Memorial to capture some close ups. I captured one traditional image and another abstract, wide-angle to add to an ongoing project of mine.